For over 3 decades, His Holiness Dr Athavale has been a guiding light and an inspiration for seekers from all around the world. Based on His teachings and guidance about universal spiritual principles and spiritual research, the SSRF website was born in 2006. After that the website has grown rapidly attracting seekers from all over the world. The rapid growth has been fuelled by the unique knowledge of the website and spiritual experiences that seekers have when they put the guidance into practice. If it had not been for His Holiness Dr Athavale, most of us seekers would never have experienced the positive transformation that Spirituality can bring about in a seekers life. No words can capture the extent of gratitude we feel for having Him in our lives. 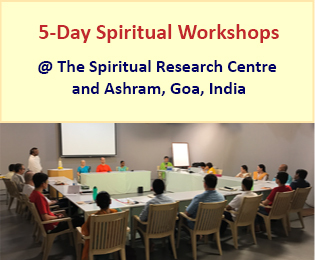 As an expression of our gratitude, on His 75th birthday which falls on 18 May 2017, the seekers of SSRF from around the world share some of our experiences that are directly related to His Holiness Dr Athavale.